The Mason Jar 3D Unpainted Layered Shape by Plaid is the perfect accent for your next craft project. Approximately 4½" x 3¾", the shape is made of precision-cut lightweight wood. 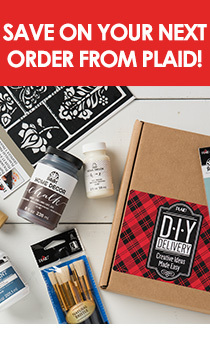 Its smooth finish ensures great performance with FolkArt or Apple Barrel acrylic paints, FolkArt stencils, Mod Podge decoupage, stains and painted finishes, wood burning, or a combination of techniques. Layering adds dimension and realism to the iconic designs, and also makes painting and detailing easier. The shapes are ideal accents for a variety of craft projects and are quite special on their own. Use the shapes to add decorative embellishments to projects created with other Plaid surfaces such as frames, plaques and birdhouses. Size: Approx. 6-1/4" x 3-3/4"